MOSCOW, March 29. /TASS/. NATO countries are using the chemical industry potential of the Czech Republic and its developments in the sphere of protection from chemical warfare agents, Russian Foreign Ministry spokeswoman Maria Zakharova said on Thursday. 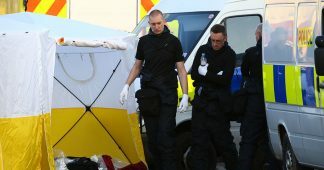 The diplomat thus commented on the statement by the Foreign Ministry of Russia, which mentioned the Czech Republic among the countries that had been developing the nerve agent called Novichyok and used, as the UK claims, to poison former Russian military intelligence officer Sergei Skripal. “The work codenamed Novichyok was conducted in Great Britain, the US, the Czech Republic and Sweden. The results achieved by these countries to create new chemical agents of this type are reflected in more than 200 open sources of NATO countries,” the spokeswoman said, noting that Czechia had been carrying out research into chemical protection within the Warsaw Treaty Organization. “In all media outlets, there are publications on this theme, which say that after the organization’s dissolution, the Czech scientific potential in this field was sought by its new western partners and inherited by NATO,” Zakharova said. The Czech army performed special missions in the Middle East, including the work to eliminate the consequences of the use of chemical weapons in Kuwait, the Russian Foreign Ministry’s spokeswoman said. 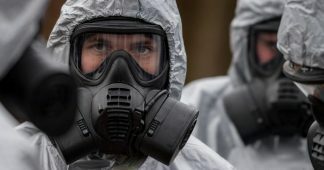 The publications existing in the media on the activity of scientific centers for the study of chemical warfare agents in the Czech Republic make it possible to conclude that “an important place in this research is held by nerve agents called Novichyok according to the western classification, the Russian diplomat noted. Thus, Czech scientists were numerously awarded grants of the NATO Science Committee. Also, the NATO center for the protection against mass destruction weapons operates in the town of Vyskov on Czech territory, Zakharova said. “No one has accused or is accusing Prague of anything. We never make any accusations as compared to British colleagues. We only say that even in the media space – and this is not propaganda, these are not Russian media outlets but these are Czech publications – there is a large amount of materials confirming the Czech potential in the sphere of chemical research. This simply has to be taken into account,” the Russian diplomat concluded. On March 4, former Russian military intelligence officer Sergei Skripal, who was earlier sentenced in Russia for spying for the UK, and his daughter Yulia were found unconscious on a bench near the Maltings shopping center in Salisbury, UK. Police said they had been exposed to the impact of a nerve agent. UK’s top officials claimed later that the nerve agent had allegedly been developed in Russia. 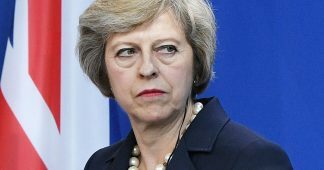 Prime Minister Theresa May, Foreign Secretary Boris Johnson, Defense Secretary Gavin Williamson and others rushed to accuse Russia of being involved, while failing to produce any evidence. 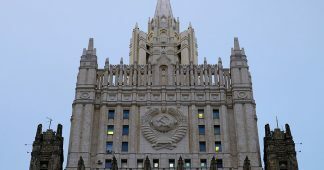 Moscow refuted the accusations of involvement in the incident and stated that neither the Soviet Union nor Russia have ever done research into that toxic chemical. Without providing any proof, London expelled 23 Russian diplomats and suspended all planned high-level bilateral contacts. Moscow reciprocated with expelling 23 British diplomats, ordering the closure of Britain’s consulate in St. Petersburg and terminating the operations of the British Council in Russia. On March 26, the United States declared 60 Russian diplomats personae non gratae. Among them were 46 diplomats from the embassy in Washington, two from the consulate general in New York and 12 more from Russia’s mission to the United Nations. Germany, Canada, Poland and France followed suit by expelling four Russian diplomats each. Lithuania, Moldova and the Czech Republic expelled three diplomats, while Australia, Albania, Denmark, Spain, Italy and the Netherlands – two. 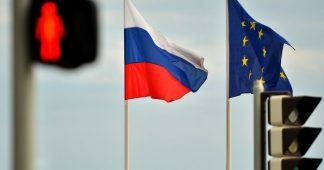 Belgium, Hungary, Ireland, Latvia, Macedonia, Norway, Romania, Finland, Croatia, Sweden and Estonia each ordered the expulsion of one Russian envoy. Meanwhile, Ukraine made the decision to expel 13 Russian diplomats. NATO slashed the staff of the Russian mission to 20 from 30. Bulgaria and Luxembourg recalled their envoys for consultations. Russia’s Foreign Ministry promised that those countries’ hostile steps would not be left unanswered.